It will be a new State with its own flag, Constitution, and its capital in Donetsk. 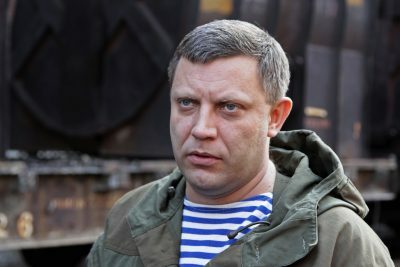 The head of the Donetsk People’s Republic Aleksandr Zakharchenko spoke about the establishment of a new State – Malorossiya. According to him, this decision was made by the former regions of Ukraine (excluding Crimea). “The situation has reached a dead end. We propose the plan of the reintegration of the country in order to stop civil war, we discussed the situation and came to the conclusion that Ukraine has shown itself to be failed state,” said Zakharchenko. “We, the representatives of former Ukraine, declare the establishment of a new state, Malorossiya, which is a successor state to Ukraine. We agree that the new state’s name will be Malorossiya because the very name of Ukraine has discredited itself,” it is stated in the Constitution act, presented in Donetsk. The document notes that Malorossiya is a multinational State, the State languages of which are Russian and Malo Russian, and it recognizes the rights of speakers of regional languages. This is a Federal State with broad autonomy of the regions. The flag of Bogdan Khmelnytsky is recognised as its flag. The creators of Malorossiya based on the fact that the DPR and LPR were the only territories “of the former Ukraine (not counting Crimea)” where the legitimate authority was preserved. They declare that Malorossiya encapsulates the whole territory of the “former Ukraine”. Recall that the DPR and LPR were formed in 2014, after the coup took place in Kiev after the events of Maidan. Donetsk and Lugansk didn’t recognize the new government and didn’t adopt a policy of non-cooperation with Russia.